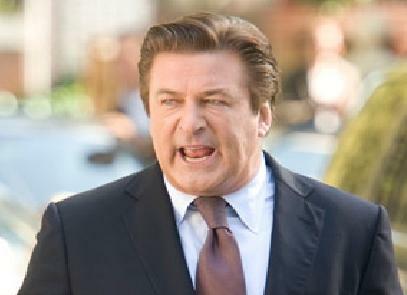 Alec Baldwin is a funny guy, so maybe he’s just kidding. The TV and film star posted a not-so-cryptic message on Twitter on Monday. “If I ran for President, would you vote for me? I won’t ask you for any $. And I promise I will win. Beating Trump would be so easy. So easy. So easy,” he wrote. Like Trump, Baldwin has got a massive ego. And like Trump was before he won the White House, Baldwin has never been in politics (although every few years rumors float that he’ll run for mayor of New York City). The two squaring off in 2020 woulds be “the funniest, most exciting, most crazy campaign,” Baldwin said last year on “The Howard Stern Show.” “If I ran, I would win,” the 61-year-old actor said. “Alec Baldwin, whose dying mediocre career was saved by his terrible impersonation of me on SNL, now says playing me was agony. Alec, it was agony for those who were forced to watch. Bring back Darrell Hammond, funnier and a far greater talent!” Trump tweeted last year. The reaction to Baldwin’s trial balloon was about what you’d expect on Twitter. Dude you can’t handle finding a parking spot in NYC. Stick to acting, pls. #NonAmerican has this humble request for you. Earlier this year, Baldwin was sentenced to take anger management classes to deal with his rage after he pleaded guilty to harassment charges after he got in an altercation near his Greenwich Village home, reportedly punching a motorist after losing a parking space. AB, I wouldn't vote for you as a dogcatcher. So good luck. But Kristin Vohl, who calls herself a “liberal lioness,” spoke for many with her two-word response. The post Alec Baldwin Toys With Running For President, Says Trump Would Be ‘So Easy’ To Beat appeared first on The Gateway Pundit.